We failed again at the next two parts of our plan. 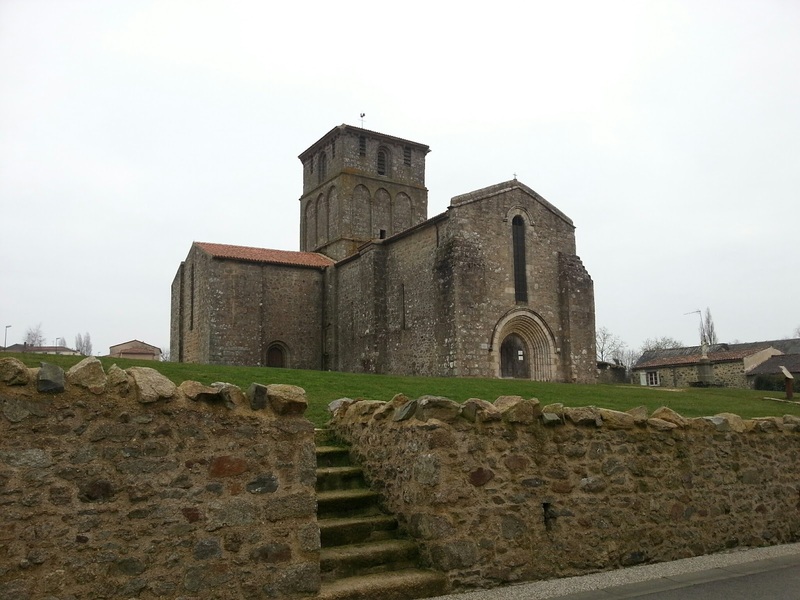 The first was to visit the church to see the paintings on its walls. The church was locked. 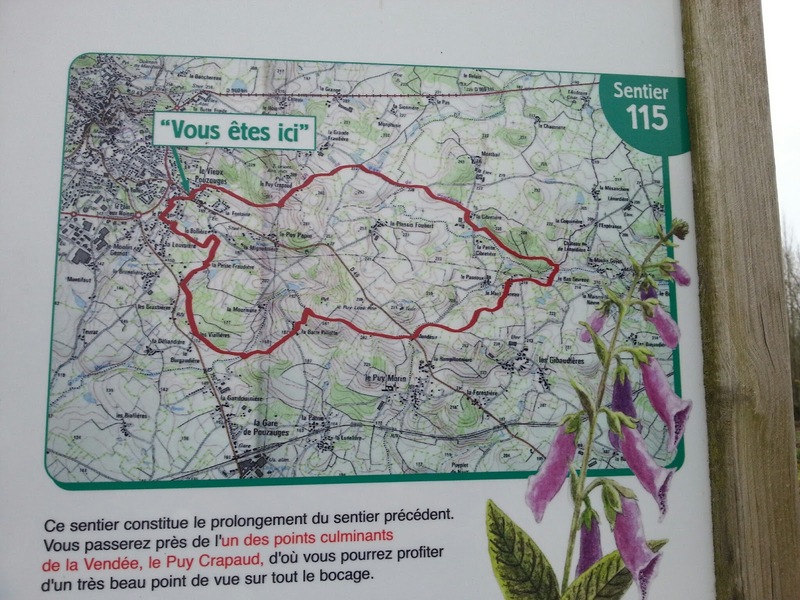 Then we were supposed to pick up the footpath that would take us to the waterfalls. It started well, we found the yellow painted marker and followed its arrow never to see one again. Instead we followed the path of the water assuming eventually it would bring us to the illusive waterfalls. Eventually we were on a track that had its own yellow route markers. It was path 6 on walks around Pouzauges. It was a lovely walk through open countryside but it never brought us to a waterfall! Still, it had been three hours of exercise and I'd stroked a donkey and horse along the way. After cups of coffee and welcome sit down in Cleopatra we needed one more walk to buy ingredients for dinner. 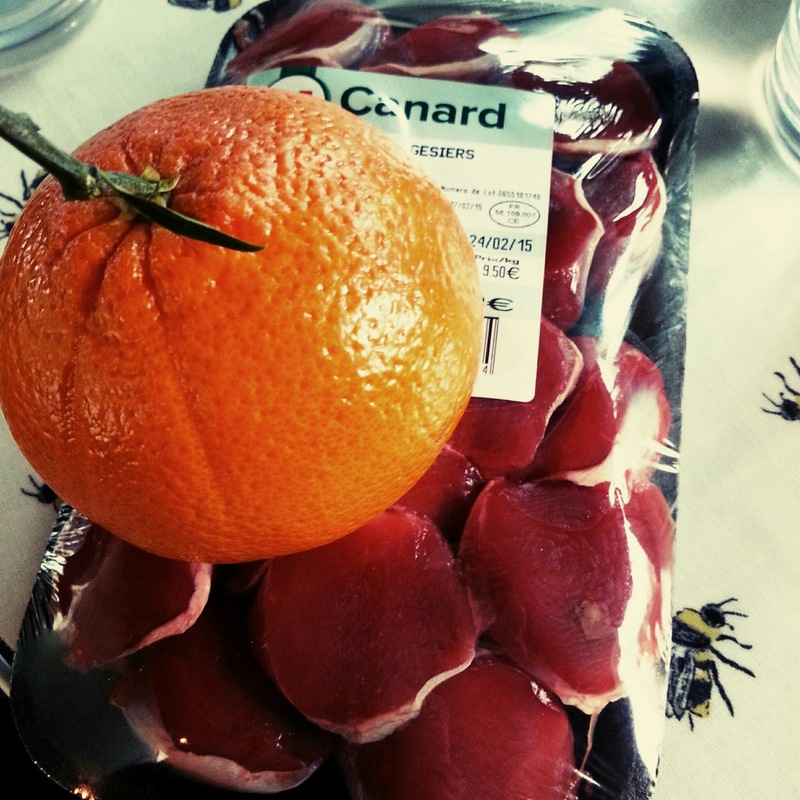 Feeling like we needed to cook something a little more French we bought duck gizzards and an orange. The plan was to slow cook the gizzards with lentils, using the orange rind and juice to add flavour. Duck al orange on our terms. Back in Cleopatra Tony had a snooze while I wrote the blog entries for yesterday and today. Around 5pm we started preparing dinner which was then able to slow cook until it was ready at 8pm. It tasted amazing. Next time I'd cook it for even longer so the gizzards were a little more tender though. 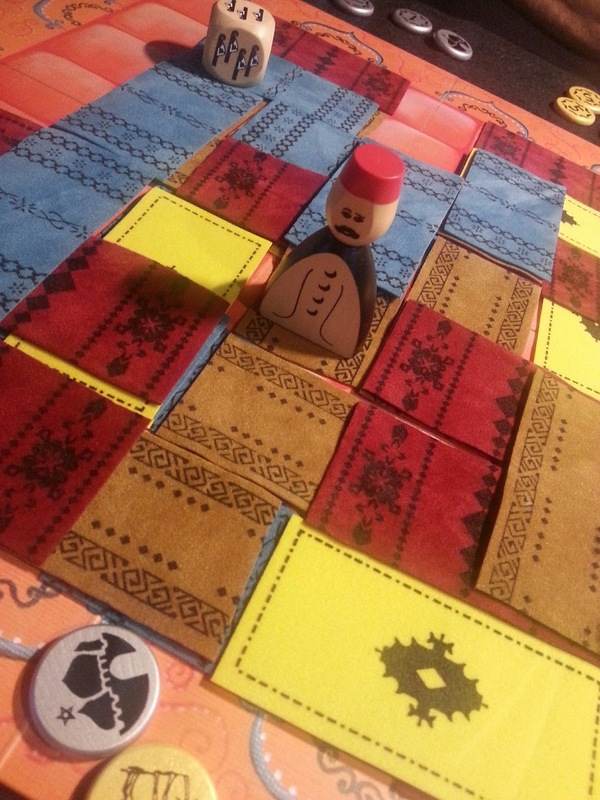 In the evening we unwrapped our newly purchased boardgame Marrakech and played it twice. It's a great little game that's very easy to learn and fun to play as a two player. You take turns to move Assam around a market selling rugs. The rugs are beautiful and are tiny rectangles of real fabric. You place a rug, ideally next to some of the same colour and hope on your opponent's turn Assam will land on them, earning you money. Tony won both games but I'm eager to play it some more. 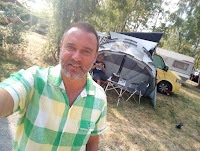 We enjoyed two bottles of local Vendeen wine and went to bed a little tipsy.